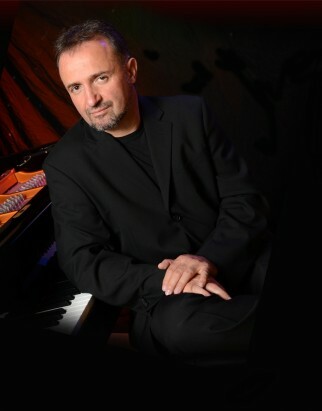 Lead by pianist Mikan Zlatkovich, this Trio+3 is armed with just about anything you may ever want on a stage at one time. 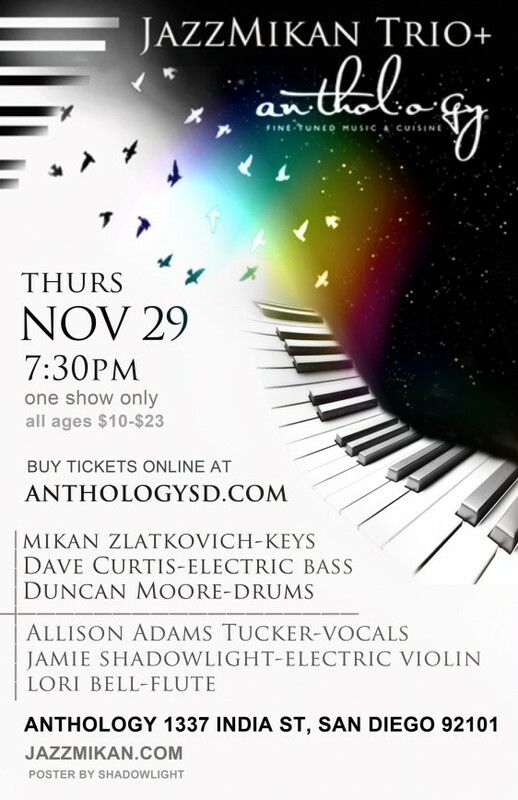 This lively line-up consists of bassist Dave Curtis, drummer Duncan Moore, and Mikan Zlatkovich, piggybacked with flute virtuoso Lori Bell, electric violinist Jamie Shadowlight, and vocalist Allison Adams Tucker. Loosely categorizing themselves within the jazz fusion realm, the Jazz Mikan Trio+3 doesn’t float aimlessly in one genre, rather they choose a wide array of songs from emotional pieces a la Bill Evans, or upbeat latin arrangements like Oscar Peterson, or the fluttering and fluid styles Chick Corea. It’s not known how long they will be appearing together or if any recordings will come of this unity, so catch them while you can.